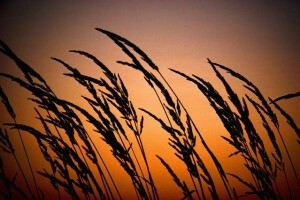 It does not matter whether you have been ‘diagnosed’ as a celiac or not – get off the wheat! The worse your back pain, the more inflamed you are, the more reflux, the more stomach upsets or bowel troubles, or the more over weight you are – the more you should cut out your grains. And cutting out the wheat or gluten does not mean eating ‘gluten free’ foods. 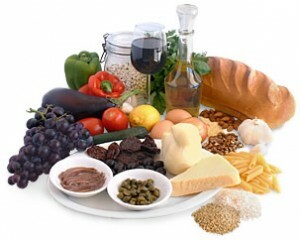 Gluten free foods are just reinventing new ways of eating the same food we should not be eating. Suffering from joint or muscular pain and aches? It’s likely that your diet is not going to be the first place you look for answers, but maybe it should be. The link between gut inflammation and joint inflammation has been known for decades, but where does diet fit into the picture? Emed explains which foods can contribute to systemic inflammation and rheumatic disease, and how to take control of your health to live a pain-free life again. When we think of the Mediterranean diet, we picture Europeans leisurely dining on meals of fish, vegetables, fruits, olives, and crusty whole-grain bread dunked in olive oil, along with a glass of wine. If eating and living healthier is one of your goals, then consider a Mediterranean diet and eating more like the Italians. A Mediterranean diet has many significant health benefits, while not skimping on taste or making you feel like you are depriving yourself. While eating 5 serves of bread and cereal every day is touted as a healthy addition to the daily diet, the effects that these grain products can have on the body are not always good. We discuss the real effect this can have on your body. 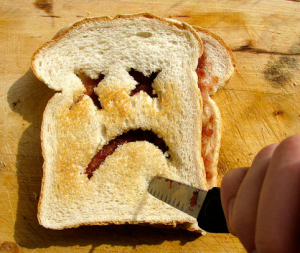 Are the Foods You Eat Killing You? Inflammation is the normal response of our immune system to all sorts of challenges, such as injury, infection, and toxicity. But if it goes on too long, for instance because the body is tired and depleted of nutrients and is unable to heal properly, then inflammation produces chemicals which lead not only to pain, but also to tissue damage and disease. 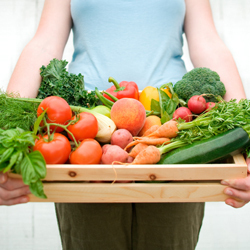 Your diet has a direct impact on the inflammatory levels in your body. Ever wondered why modern society is dealing with obesity, cardiovascular disease and metabolic conditions like diabetes now more than ever? Think your 'beer gut' is due to having a few too many drinks on the weekend? Well think again! William Davis has a new theory to offer on these matters in his bestselling book, Wheat Belly. Emed reviews this thought provoking book about the damaging health effects of wheat and highlights the facts from the book that will change your life and perspective on grains forever. In this second part of Emed’s Wheat Belly article series, we discuss the wide-ranging health effects of wheat. While digestive symptoms are often a sign of wheat sensitivity, we now know that they are not the only sign. It seems that symptoms of wheat sensitivity or serious intolerance can range from arthritis, skin rashes and mood swings to fatigue, autoimmune disease and peripheral numbness! You will be shocked at how many of these symptoms you may be experiencing right now without any answers as to why. This article is a must read for anyone who eats wheat or suffers from cardiovascular disease, diabetes or chronic disease and wants to get to the bottom of their health problems for good. Over the past few weeks we have published articles discussing the changes that Wheat has undergone to become a global dietary health threat. William Davis' book, Wheat Belly explains in detail how Wheat can detrimentally affect health, from digestive problems to musculoskeletal conditions, obesity, heart disease, diabetes and more. Although Wheat may seem like just another food, the truth is, "quitting wheat" can be harder than you think due to its control over your appetite, food cravings and even your mood. In this last article of our Wheat Belly trilogy, Emed provides you with the essential guide to living a wheat-free life and experiencing health at its best! Inflammation certainly is our body’s way of dealing with a perceive threat. Normally, it is relatively minor, working quickly to dispel infection. Sometimes it is self-inflicted, like sunburn. However it happens, the tell-tale symptoms of inflammation like swelling, redness and pain have affected most of us at one point or another. But what happens if chronic inflammation starts affecting our bodies? Can we stop this silent killer, before it is too late? The bad news is that you too could be chronically inflamed, and not even know it. 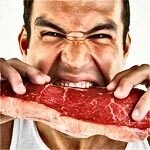 The Paleo Diet – Revival of the Caveman? There’s no doubt about it, the Paleo (Paleolithic) Diet, also known as the Hunter-Gatherer Diet, Stone-Age Diet or Caveman Diet is creating quite a stir amongst health professionals, the media and the online blogging community. If you don’t quite get what the hype is about, here’s a rundown on the newest (or oldest) health movement around.